Law at the End of the Day: 文：白轲 对周瑞金《反思文革万言书》的“反思” 翻译：高山 Reflections on Zhou Ruijin, "Reflections on the Cultural Revolution: A Ten Thousand Character Petition. 文：白轲 对周瑞金《反思文革万言书》的“反思” 翻译：高山 Reflections on Zhou Ruijin, "Reflections on the Cultural Revolution: A Ten Thousand Character Petition. This Post includes the Chinese translation of Larry Catá Backer's reflections on Zhou Ruijin, "Reflections on the Cultural Revolution: A Ten Thousand Character Petition." It is part of a group of reflections on Zhou Ruijin's provocative essay. English version HERE. Reflections on Zhou Ruijin, "Reflections on the Cultural Revolution: A Ten Thousand Character Petition." The capital investment needed to build a system can be very high. In extreme circumstances, it requires bloodshed. However, once a system has been established, the cost needed to maintain the operation of society sharply decreases. A system in which the Party rules the state necessarily leads to the Party being above the law. When power is above the law, any system, no matter how good it is, becomes merely furniture and an impediment to the implementation of the rule of law. That insight is woven around an argument that starts with the argument that the “Cultural Revolution Made Us Realize the Harm that Dictatorships Cause.” That argument is supported by the notion that “The Cultural Revolution Did Not Come Out of Nowhere” and that its key marker—class struggle—produced an ultimately self-destructive political and social culture through mutually fatal denunciations and rectifications (“During Ten Years of Cultural Revolution Many People Falsely Accused One Other”). This struggle was both ideologically and materially self-destructive in the way that the Khmer Rouge’s national self-immolation in the name of Marx and Lenin also appeared to be, it applied the rules of violent struggle that posited that the masses themselves were no less an enemy than the once invading Japanese (“Why Class Struggle Thinking is Wrong”). All of this is quite astute and the product of a keen analysis of the errors of substituting personal rule for collective leadership. And it is that that point, of course, that Zhou Ruijin takes a different course. He posits the same question as Lenin did—what is to be done? His answer starts with the assertion that “Democratic Politics is the Logical Foundation for Building A New Kind of State.” And to that end makes a severe distinction between state, party, government and law (“The Law Should Not be the Tool of Rulers”) and thus between the CCP and the state. That difference then lies at the foundation of what follows—that a Leninist Party must inevitably fail to “Be Open Towards Every Force in Society.” What follows from this bifurcation, this rejection of Leninist notions of a vanguard, is that the possibility of socialist law is not possible under socialism. Or put another way, that “Ending Rule of the State by the Party Begins with Rule of the State According to Law” and that such a conclusion is possible only where the Communist Party itself binds itself to the State Constitution whose construction is itself the expression of the CCP Basic line and its constitution. 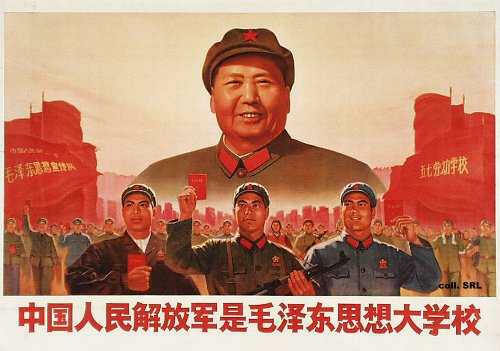 Ironically, Zhou Ruijin, like Mao Zedong, may ultimately be, as Deng Xiaoping suggested, 70% right and 30% wrong. Zhou Ruijin provides valuable analysis of the errors that produced the Cultural Revolution and he is right to suggest that those with a leadership obligation are also responsible for the deleterious effects of their own errors. To the people who they serve and to their own organization that they have failed. He echoes Deng Xiaoping’s insight that class struggle was no longer the primary element of vanguard activity as the CCP transformed itself from a revolutionary to a ruling party. The deleterious effects of that failure might be discernible in Cuba. And the use of a strategy of civil war within a state belies the fundamental obligation of a Leninist party to all people, to lead by example. Ruijin also correctly echoes the current CCP Basic Line and the State Constitution, in pointing out that all individuals and organizations, must adhere to law, whether ordinary law or the higher law of the State Constitution. And he takes the best of Tong Zhiwei’s insights about the character of the Chinese Communist constitutional state. But for Zhou Ruijin, like Mao Zedong, it is the nature of that 30% error, and its capacity to do harm, in each case, that gives pause. For it suggests, quite rightly, the difficulty of practicing leadership as a vanguard party. What Zhou Ruijin points out is that this leadership is not mastered merely by the power to command—either through cults of personality or by ensuring that the vanguard remains remote form the masses. Nor is leadership authenticated by the abdication of the CCP’s role as a communist vanguard with a state now transformed into a static socialist enterprise in the style of the West. The CCP itself provides the answer to the quite correct criticism of the behavior of cadres in the face of the Party’s own basic line: in order to lead the people the Party must better emancipate the mind, open up and endeavor to reform. But that is impossible without a better practice of the mass line. It is regrettable, then, that rather than suggest the ways to strengthen the democratic and representative elements of vanguard party governance through the mass line and a closer adherence to law and principle, the alternative was embraced—a rejection of the fundamental Leninist character of the Chinese state itself. In order to lead, then, the CCP must listen to the people, and it must, as Deng Xiaoping suggested, better practice democratic centralism within its own structures. To put a cage around power one must have law; Zhou Ruijin is right, echoing Xi Jingping. But to have law one must concede politics. Law cannot avoid politics but it can be constrained by principle. If the principle is in the constitution then the party must yield—that is Zhou Ruijin’s point. But if the principle lies elsewhere then the constitution must be embedded within its structures; law must be constrained by principle—a written constitution is hardly ever enough. The vanguard authority of the CCP is not an expression of absolute power, but the exercise of the obligations imposed by principle; even as it continues to struggle to better perform as the servant of the principles from which its authority as a vanguard derive. Those principles must bind the CCP just as the law—which expresses the administrative character of principle—binds the state. The higher law of the Chinese constitution is itself bound by the higher principles of framework, the protection and elaboration of which is entrusted to the vanguard party and exercised through its leadership role. That power must be constrained by principle. But the power to elaborate principle is not constrained by law. The failure to grasp that insight is the critical failure of Zhou’s analysis, but perhaps more importantly, of CCP cadres to practice in their everyday working style. And in that principle lies the path toward a more democratically Leninist communist party as China builds its socialist rule of law. I end by echoing and agreeing with Zhou Ruijin, but to different effect. China is a constitutional state. Its constitution must reflect and advance the interests of the nation. It is good that officials swear to uphold the State Constitution in their installation ceremonies. But it does not follow from this that “the beginning of rule of the state according to law with the constitution being the highest law” inevitably requires ending the vanguard leadership role of the CCP. Sange daibiao (三个代表) might suggest an alternative based on increasing democracy by broadening party membership and fostering vigorous intra-party democracy (e.g., here). It is conceivable that putting power in a cage requires both an adherence to the CCP basic line as expressed in law (the State Constitution) and the adherence by the CCP of its own paramount obligation to obey and apply its fundamental political principles—which the CCP must also ensure are always enshrined in the State Constitution. That relationship between principle-law-state-and party is a path toward socialist rule of law that avoid both the left error of Mao Zedong and the right error of Western party constitutionalism in China’s current constitutional order.